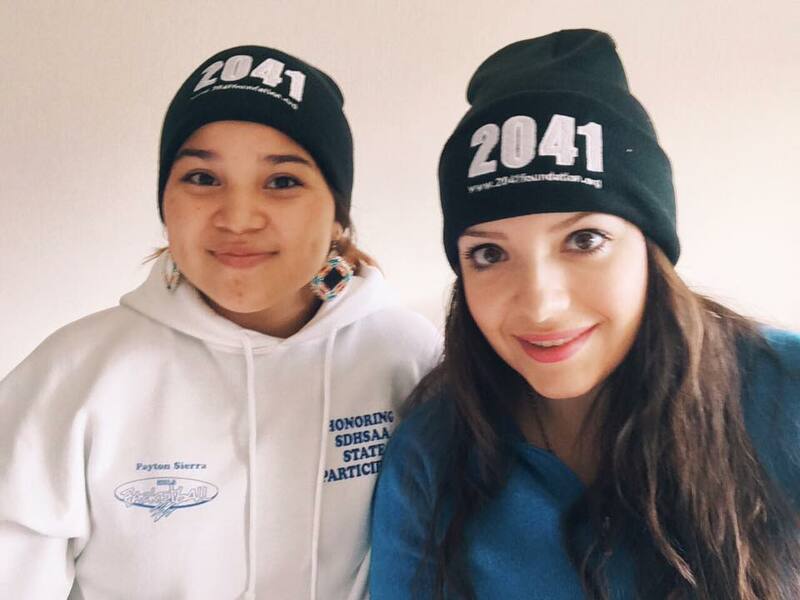 This is the first blog post from Maggie Dunne and Payton Sierra, who are traveling to Antarctica! We made it to Ushuaia, Argentina safe and sound! We traveled so far to get here from South Dakota and New York, so many flights and days of traveling and anticipation built up to this moment! We had a brief visit in Ushuaia, Argentina, where we attended orientation and were introduced to the 2041 Expedition team. Shortly thereafter we made our final calls home and prepared to leave shore for Antarctica by boat! Neither one of us has ever been on a cruise before, so we were laughing about how our first voyage on sea is to ANTARCTICA of all places! 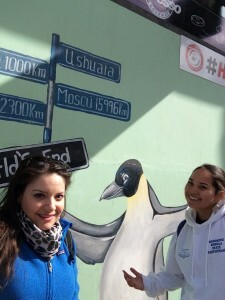 Maggie and Payton in Ushuaia, about to board the boat! We have already met amazing people on the trip, and we know this is just the beginning. We were sorted into groups and the members of our group are from countries all over the world: Singapore, England, India, California, China.. the list goes on! We learned in orientation that the participants on this expedition represent 30 different countries around the world, and that there are more women than men! Wow! This is pretty impressive and perhaps historic, given that the first several decades of expeditions to Antarctica had NO women participants! After orientation, we had a little bit of time to make last minute calls home, and then we were off to meet our groups, head through customs, and board the Ocean Endeavour, the boat that will bring us to Antarctica! We are both anxious and excited for the journey to start. It’s hard to believe that this is really happening! We are excited to see how we can support the work of each other, and learn from each other. For context, the 2041 Expedition is led by explorer Robert Swan. By age 33, Swan was the first person to walk to both the North and South Poles. During his expeditions, Swan experienced the effects of climate change firsthand, and became inspired to mobilize people around the world to change behaviors and take action to protect the Earth, and especially, Antarctica. Since 2003, Swan has led annual expeditions to Antarctica with students, teachers, and business executives from around the world. Expedition participants focus on leadership training, environmental and social initiatives. Swan and the 2041 Foundation believe that the time is now to inspire the next generation of leaders to take responsibility, be sustainable, and take action in policy development, sustainable business development, and future technologies. We are excited to be part of this journey to the bottom of the world, and to see what this expedition has in store for us! Stay tuned for more!